Doctor with 12 yrs experience in Health Insurance sector. Doctor with 12 yrs experience in Health Insurance field including Medical Claims, Pre-authorizations, Coding, Network Management. Completed BUMS including 1 yr rotatory compulsory internship. Joined Genpact India in GEFA-LTC-Medical Record Summarization Process. 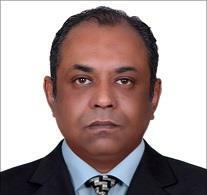 Joined Oman Insurance Co. Dubai, UAE as Insurance Specialist in Underwriting Dept. Since I passed the course with the highest grades (A+) & transcription accuracy of 99.7%, I was hired as the Head-Batch Faculty in the Dept. Of Medicine of the same institute. Subjects that I studied & was examined: Human Anatomy, Human Physiology and Applied Medical Biochemistry, Applied Pharmacology, Human Pathology, Human Microbiology (including virology and parasitology), Community Medicine Part I and II, Forensic Medicine, Otolaryngology (Ear Nose and Throat) and Ophthalmology (Eye), General Medicine, Gynecology/Obstetrics, Pediatrics, Dermatology, General Surgery (including Orthopedics) & Community Medicine Part III.